A lyrical story of the life of Palestinian poet Taha Muhammad Ali, written and performed by Amer Hlehel. Forced from his home in Galilee in 1948, Taha and his family must face the reality of war. At a young age he supports his family, immerses himself in literature, teaches himself Arabic – and falls in love. Growing up in a world where stability is only ever fleeting, poetry becomes a comforting constant. Amir Nizar Zuabi (The Beloved, I Am Yusuf and This Is My Brother), founder of celebrated theatre company ShiberHur, returns to the Young Vic to direct this London premiere. 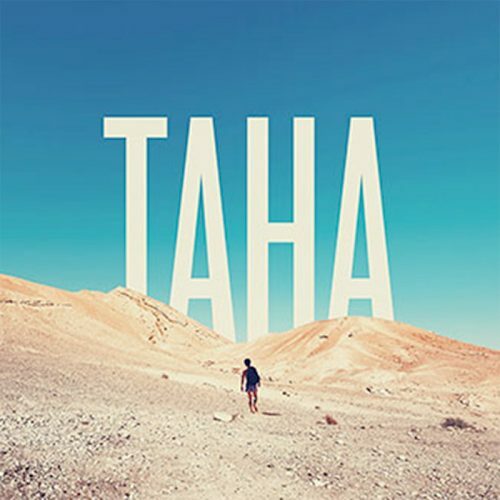 Amer Hlehel’s Taha is a dramatic & lyrical tour de force. Hlehel’s epic account of Taha Muhammad Ali’s coming of age and coming to poetry against all odds is “a delight for the mind and nourishment for the heart.” 2013 Pulitzer Prize winner Ayad Akhtar. An Amer Hlehel, Young Vic and Shubbak Festival co-production. Taha is supported by A.M. Qattan Foundation and was developed, in part, at the 2015 Sundance Institute Theatre Lab at the Sundance Resort. Palestinian actor, director and writer Amer Hlehel is based in Haifa. He has appeared in numerous productions, including as Truffaldino in A Servant of Two Masters; as Dr. Roberto Miranda in Death and the Maiden; as Caliban in Shakespeare’s The Tempest in David Farr’s production at the Royal Shakespeare Company, Stratford-on-Avon; as Yusuf in I am Yusuf and This is My Brother by Amir Nizar Zuabi; and as The Soldier in Kafka’s In the Penal Colony at the Young Vic (London), directed by Amir Nizar Zuabi. He has also performed as Diab in Diab (Award for Best Actor and Best Solo Performance at the Masraheed Festival, 2005, Acco) and as Enkido in Gilgamesh Didn’t Die. Hlehel’s film work includes Palestinian films: The Idol, The Time that Remains, Amreeka, Man Without a Cell Phone and the Golden Globe award-winning Paradise Now. His work as a stage and film director includes What the Story is All About, Breaking News, Finding the Dream, Thanks, Prayer (on video) and most recently Altagreeba. He has also written several plays, including Juha and Bahlol (children’s play), What the Story is All About, and Almushakhesati – the Player (with Firas Khateeb and Ala Hlehel). Hlehel is the former Artistic Director of the Al-Midan Theatre in Haifa and a Sundance Institute Theatre Program alumnus. › Volunteers – We Need You!